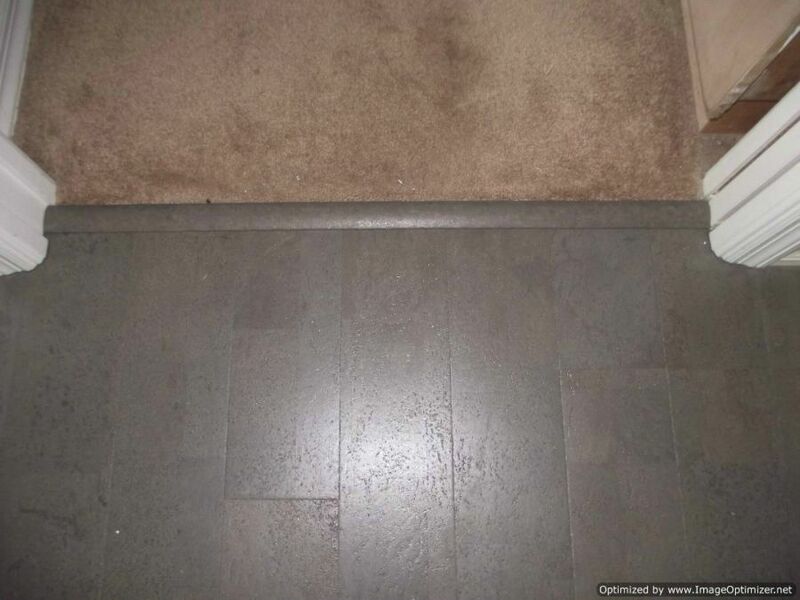 This is a Cork laminate flooring review, based on the installation in a kitchen and dinning. First of all I call it cork laminate because it installs the same as laminate flooring. The only difference is the top surface. 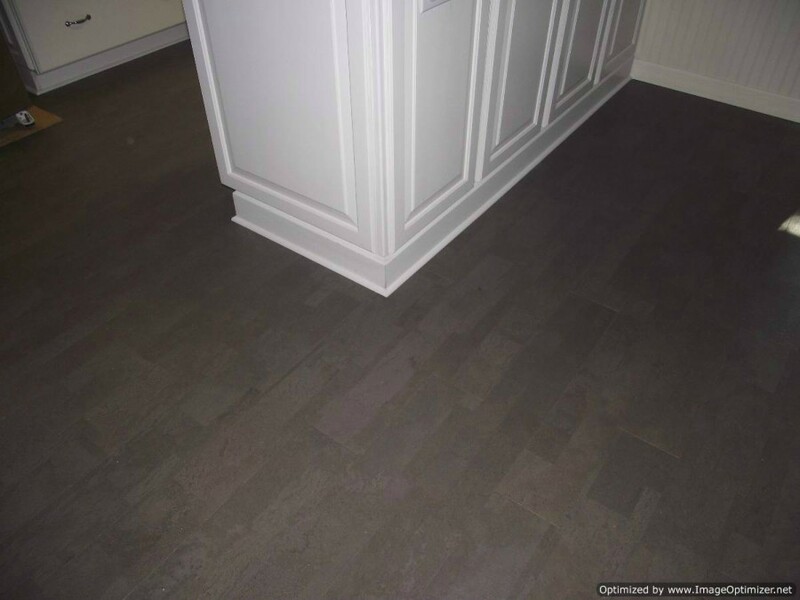 This particular cork flooring was purchased online on a site that seems to carry a lot of bamboo products. This brand is sold by Cali bamboo called Green Claimed, color is Twilight. It has a 1/8 inch wear layer of cork on the top. The center is a pressed core like laminate flooring and the bottom is a thin layer of cork. The total thickness is 7/16 of an inch, or 11mm. The warranty is for 15 years for residential and 5 years for commercial. I like the way cork flooring feels when walking on it. It feels softer and inviting. This particular brand was easy to install in open areas, but not as easy around door jambs. The locking system makes the difference. In this first video I'm showing what I have to do to shave the edge of the locking system off. I this second video I show how I install the plank with glue. At the end of the first video I couldn't get the plank to go into place so I had to stop the filming to cut the edge off that goes against the wall of the closet. This video starts with the plank layed in place but not connected. I did a little experiment while installing this laminate cork flooring. One day after I was done working I joined together two scrap pieces of this cork flooring and poured some water on the joint. I left it there overnight. 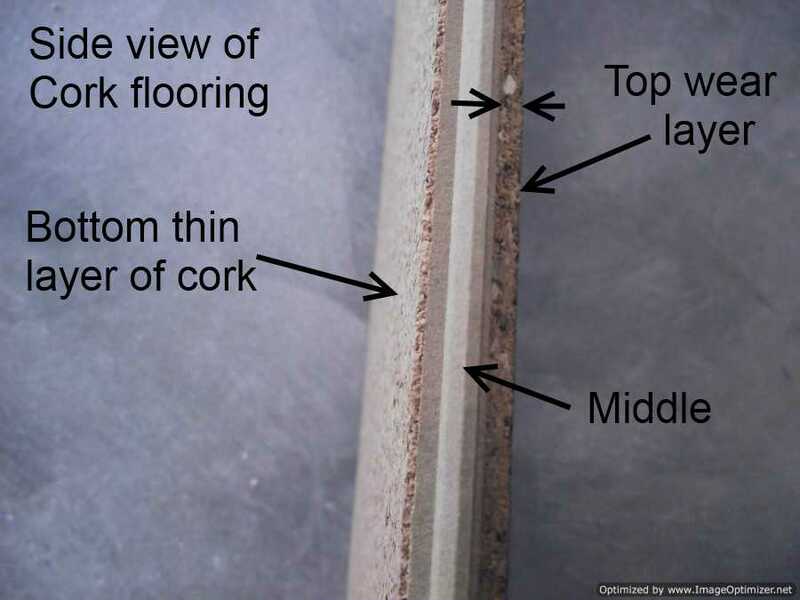 I think this information is important to anyone that may be interested in purchasing cork flooring. If anyone finds waterproof cork flooring let me know. I have to admit I was surprised to see the swelling. I thought cork didn't absorb water. Maybe it didn't, it swelled where the cork and the core of the plank joins. I did a little looking around on the web and can't seem to find much about this issue. 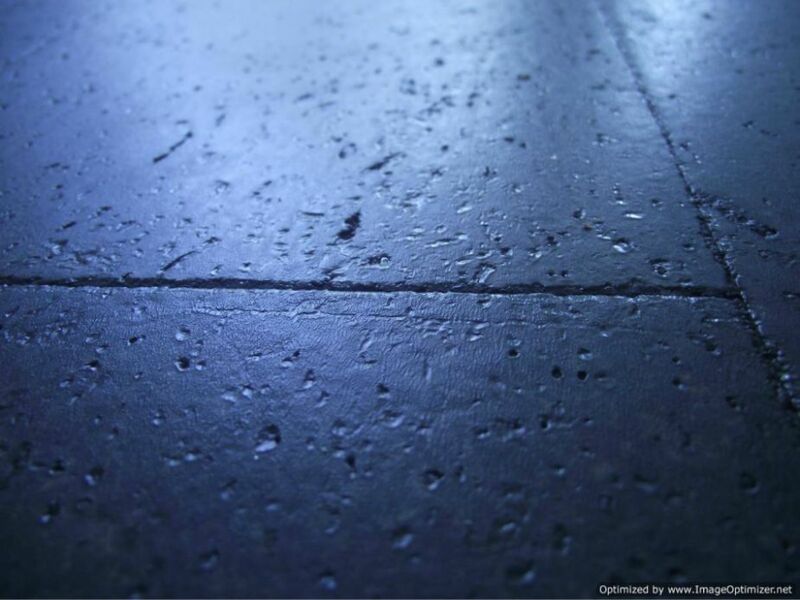 Websites that sell cork flooring don't mention this issue. or at least the ones I looked at. This video below shows what happened after leaving the water on the joint overnight.